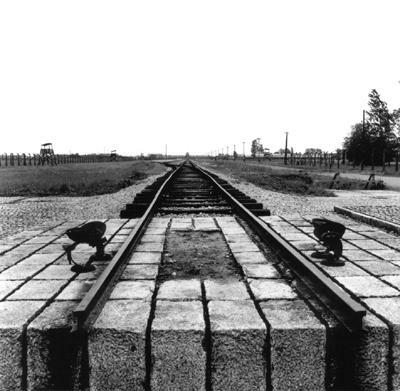 Holocaust Survivors: Photo Gallery - "The End of the Tracks"
In Auschwitz-Birkenau the tracks end near Crematoria I and II. The selections occured as the victims got down from the trains. A guard tower can be seen on the left and part of the lagerstrasse on the right.